You would think that San Francisco, with its close proximity to tech-centric Silicon Valley, would have some of the fastest internet in the world. According to a new report from the Open Technology Institute, that just isn’t the case. Researchers at the institute analysed internet speeds in 24 cities in North America, Asia, and Europe. 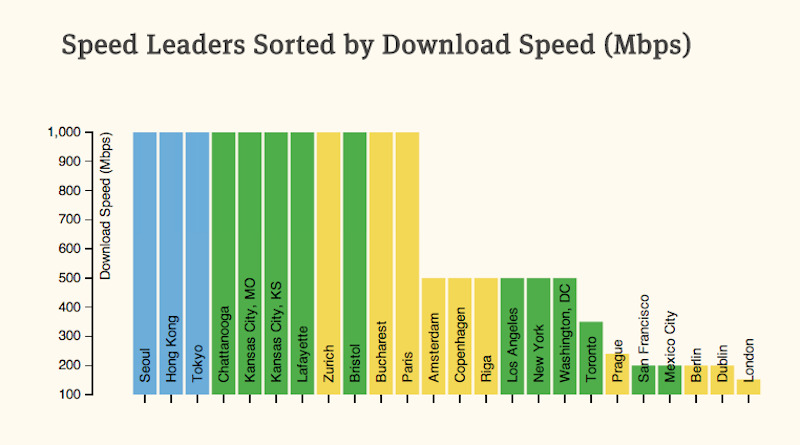 Surprisingly, San Francisco ranked near the bottom in terms of download speed, beating only Mexico City, Berlin, Dublin, and London. It seems that San Francisco was a bit of an anomaly in OTI’s analysis. As Curbed points out, the fastest internet costs less in San Francisco than in other US cities. A download speed of 200 megabits per second (mbps) can be purchased for $US30 per month, while that same speed costs about $US300 a month in New York and Los Angeles. 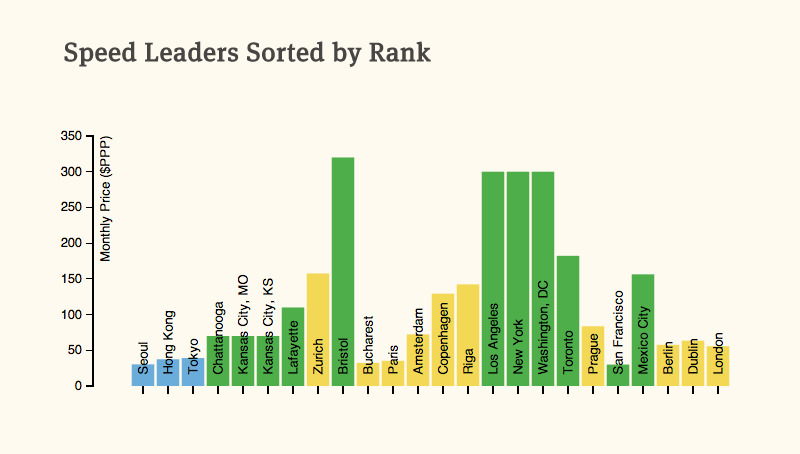 Here are the cities with the fastest Internet speeds, compared to average monthly prices. San Franciscans may have some of the slowest Internet connections, but users pay around the same as people living with the fastest connections in Seoul, Hong Kong, and Tokyo.